GOVERNMENT OF TELANGANA:: G.O.Ms.No. 132, Dated: 12-09-2017:: FINANCE (HRM-VII) DEPARTMENT:: Public Services – Tribal Welfare Department - Recruitment - Filling of (91) Ninety One vacant posts in the categories of Hostel Welfare Officer Grade-I & Grade-II, under the control of Commissioner of Tribal Welfare Department, Telangana, Hyderabad, by Direct Recruitment through the Telangana State Public Service Commission, Hyderabad - Orders - Issued. 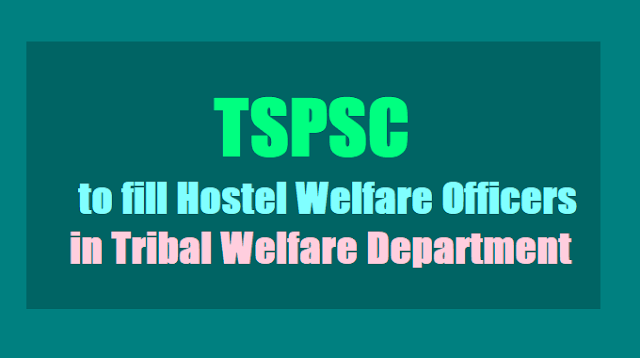 Ref: Tribal Welfare (Ser.II) Dept., U.O.No.5595/TW.Ser.II/2017 dt:07.09.2017.